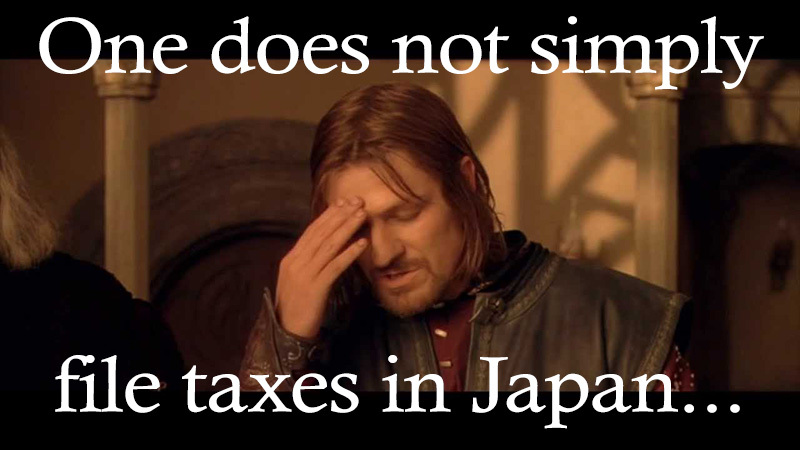 Looking at your taxes in Japan can be a daunting and confusing experience. This kanji is hard even if you do understand a good bit of Japanese, and you don’t want to pay too much for your tax return. Maybe not. Unlike in countries like the US (with a very strict and punishing tax code), doing taxes in Japan is comparatively very easy, and leaving this up to your company can cost you a lot of money if they don’t take advantage of the tax deductions you may be entitled to. Most people won’t ever learn this in their time in Japan, but I figured it out after having to do my taxes myself. I joined a company in Nagoya in 2014 that didn’t want to pay 年金 nenkin (pension) or 保険料金 hoken ryoukin (health insurance payments), so to get around this for full time workers they hired us as sub-contractors to “provide a teacher” to the school. Because of this I had to figure out how to do my own taxes as a 個人事業 kojin-jigyou (sole proprietor), which is basically something like a freelance agency. Even after I went back to being full time with all the benefits for a year after that, my school did my taxes for me again, and I noticed that it was significantly higher than when I did my taxes myself. Wait, what? Why would the tax bill be higher if your company does it for you? Why would they pay their tax accountant more money to get all the information about you (and ask you to organise your receipts and expenses to the maximum benefit) when they can just do a standardised estimate that will save the company time and money even if it doesn’t save you a single juu-en? Travel costs, pension and health (and other) insurances are sometimes included by your company, but there are tons of expenses and reductions you can get, especially if you have been keeping receipts for big purchases. Now I have gone back to doing my own taxes because I knew that it would only take me a few hours of my time to save tens of thousands of yen every year. There is nothing nicer than getting a nice juicy tax refund! How much could I save by doing my own taxes? At the time I was making 3.5m yen, so just dipping my toes in the 20% mark. There are also tax-free deductions at each level of income so there is a small buffer zone, but you don’t need to worry about that as they will help you with that at the tax office. Don’t I need to speak Japanese to do my taxes? You don’t need to speak any Japanese at all to do your taxes. Doing taxes is a legal requirement, so if you go to the tax office they will bend over backwards to help you get the thing done. I am still shocked at how helpful the staff are when going to immigration or the local ward office is such a different experience. So all you have to do is look up what they ask you for at the tax office on Google translate and then give them the right receipts, papers or documents. Some of the things you can get money off for are really great. I work from home like a lot of freelancers in Japan and so I can claim 5/7 of my rent (for a 5 day work week) tax free as I have a separate area in my house for my home office. So I show the nice helpful tax person struggling through a language barrier that I have a home office and my rent is X, so we calculate how much of that can come off my bill. So yes, Japanese is totally not required but a bit of patience is. There’s nothing worse than being that foreigner in the tax office getting frustrated because he neither prepared nor tried to understand what to do. You can’t just show up without all the documents you need and then get annoyed that people are telling you to go home and get the documents you need! 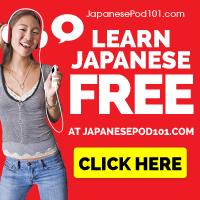 If you want to be able to speak Japanese better and handle these kind of situations like a pro, check our review of Glossika for Japanese here so maybe next year (or the year after) you can be good enough at Japanese to get through the taxes yourself. マイナンバー My Number Card (not quite sure if this is 100% essential, but you had better bring it just in case). Travel expenses (this can include trains, hotels or flights that have been used for a business trip), up to a reasonable amount per month. Scholarships also aren’t taxable, so bring any study grants you’ve received. Also for any charities or political parties you might have donated to. Google Translate and a phone with enough battery to get you through an hour or so there. If you forget to bring everything you will either miss out on a lot of savings or they will just send you straight home and tell you to come back. If you have a full time job and you’ve taken a morning or afternoon off to go get this done, that can be a bit of a spanner in the works, so just don’t forget it all. Income Tax Refund – Do I get one? I’ve had much bigger refunds in the past – it’s uncommon but one company I worked for mostly hired part-time teachers from the US bases, and rather than write a whole new contract for me, they gave me the same contract as the part-timers from the US base. Since non-visa holding workers pay up to 30% flat rate tax, I cam to the end of the tax year having seriously overpaid on my taxes, and got nearly a month’s salary back in overpayments from this one part time job! This probably won’t happen to you, but this is why I’m glad I did my own taxes, because if I hadn’t who knows if they would have gotten my money back. From 2019 it will be mandatory for registered businesses to file taxes using E-Tax, but for individuals this is still a little way off. The E-Tax system has been in place for a little while and it is actually basically what they use in the tax office to generate your tax receipt. Last year the helpful lady at the tax office walked me through the whole process on a computer they had set-up to run the E-Tax software, and I basically had help going through the E-Tax program. Then in true Japanese fashion we printed off a copy to submit (probably to fax to someone). 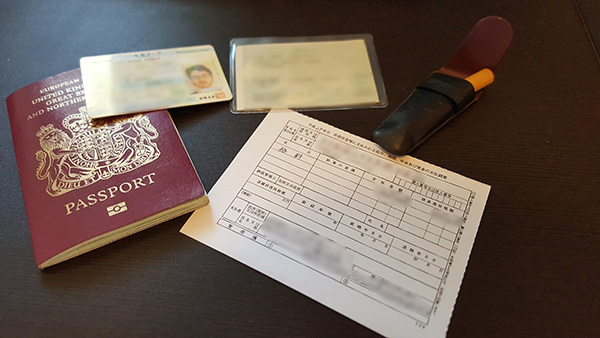 Rather than explain the whole process here, there is a handy PDF link from the government’s E-Tax website to help you with the whole process, step-by-step in English! You will need to download the software, but it is not all that hard to run through if you follow the steps in the manual, and this way you’ll get your tax refund much much faster than if you had filed a paper return at the local tax office. If it is your first time doing your own taxes, and you’re worried about making a mistake, it still might be a good idea to get a tax accountant or do it yourself at the tax office. Getting that stamp from a tax official really helps so that if there are any mistakes, you won’t get in so much trouble because a tax official also didn’t spot it at the time. This gives you a little leeway. The Japanese government really wants to get more people to start filing their taxes digitally rather than on paper (finally). To make this a reality sooner they are offering some small tax breaks to people who will opt to use the E-Tax software to do their own taxes. You might have already had a letter in the post about E-Tax (all in Japanese of course), but there is an explanation of how to do the whole thing step by step in English as we talked about in the paragraph before this. Check the link above for the English manual for the E-Tax software, and give it a try to save a little more than just by going to the tax office. It’s faster and easier, just do it online from your house. After collecting all of the relevant documents it might only take an hour or so to finish the whole thing. You will save money this way, for sure. You won’t get the tax officers hanko, which may or may not make it more likely for someone to question your income if you have multiple sources or lots of expenses. It’s all in Japanese so even with the English manual it’s tough to fill this out, but you don’t get to gaijin card this one. Try not to make any mistakes, because this is grown-up stuff and you can’t just throw up your hands and say you didn’t know any better. To trust your company to do it for you, or not? One year when my company was filing my taxes, even though I gave them my gensen choshu hyo from my previous company, they forgot to add the other income to my tax filing. I got a letter from the tax office about six months after the taxes were filed saying that I hadn’t declared over a million yen in income! There was a whole bother about it, but in the end I ended up having to find tens of thousands of yen for that and over ¥100,000 for additional income weighted health/pension contributions at the end of the year. This came at a time when I had just spent a lot of money on flights home for Christmas and couldn’t really afford to pay all of that in one go. For me this made me think that it’s better if I just do all of it myself. 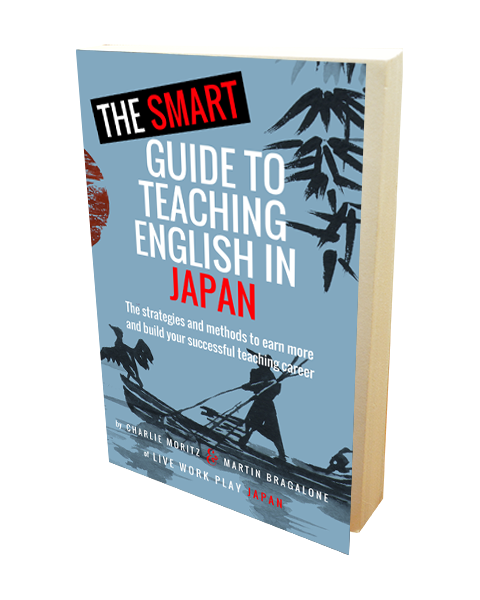 Companies may know better what to do and in your first year or two in Japan it’s probably the smart move, but they can make mistakes too that spring on you when you are least prepared for it. I’ve heard this from more than a few friends, and especially from Americans. The US tax system is insane, and really penalises mistakes, even though it’s very easy to make those. Japan is not like that. They just want what is legally owed to the government. In the states if you don’t pay your taxes (properly), the IRS comes and puts you in jail or fines you heavily. In Japan, if you do what I did (by no fault of my own) and didn’t declare millions of yen in income, they ask you why, listen, then just ask you to pay it back. I didn’t get any fine and it didn’t affect my visa renewal. If you’re not a small business owner and you need help filing your taxes, they might not be able to help you, but it is worth giving them a call to check. If you are running an SME (small to medium sized enterprise) and need to do a profit loss statement, this starts to get a bit more complicated. When you’re just a website operating freelancer/teacher like me, you don’t have to worry too much about a whole bunch of expenses, office space or employees when it comes to file your tax. But when you’re getting more serious about your business, you’ll want to get a good tax accountant, and if Japanese isn’t your strong suit a bilingual accountant will absolutely be necessary so you don’t miss the details (which can be very important when it comes to anything to do with governments). I’ve got a few friends with businesses in Japan who have recommended the services of Kohei Otani-san, a bilingual tax accountant based here in Tokyo. As a small business there are ways to limit your tax filing so that you pay a very small rate in tax. As well as helping you file this year’s tax returns and keep every penny you can out of the taxman’s hands, Otani-san can give you advice on how to keep the most of your money come tax time next year as well. If your business taxes are looking complicated and you want to do it right (and maybe save a little money on your filing too), I’d highly recommend filling out the short information request at the end of this article, or sending him an email so he can show you how to save money on your taxes. Be sure to mention that you found him through Live Work Play Japan in your email, and he’ll look after you.